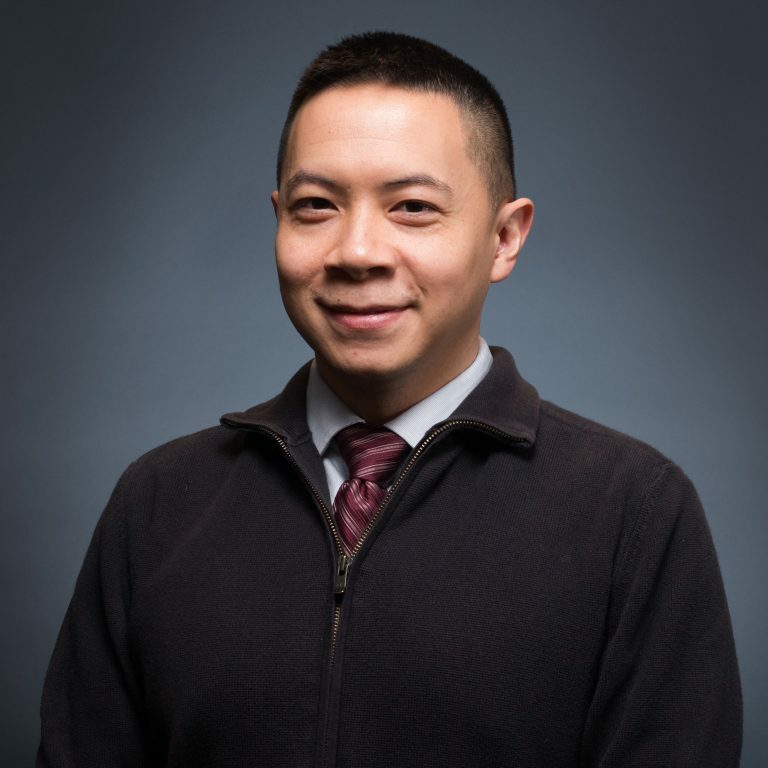 Thaibinh Nguyenba, DVM, Diplomate, ACVIM (Cardiology), is a board-certified Veterinary Cardiologist at MedVet Columbus, where he has been part of the cardiology team since 2007. He is also the Cardiology Specialty Leader for all MedVet locations. Dr. Nguyenba attended Baylor University where he earned a Bachelor of Arts degree in 1998 and Texas A&M University College of Veterinary Medicine where he earned a Doctor of Veterinary Medicine degree in 2003. Following his graduation from veterinary school, he completed a yearlong internship in small animal medicine and surgery at North Carolina State University College of Veterinary Medicine and a three-year residency in cardiology at the University of Minnesota College of Veterinary Medicine. Since becoming a board-certified Diplomate of the American College of Veterinary Internal Medicine (Cardiology), Dr. Nguyenba has become a leader and well-known figure in the Columbus veterinary community. He is an expert in veterinary interventional cardiology and played a leading role in the research and development of the first cardiovascular device designed specifically for the dog, the Amplatz® Canine Duct Occluder, for minimally invasive correction of patent ductus arteriosus (PDA). Dr. Nguyenba is a global consultant to veterinary cardiologists for cardiovascular interventional procedures and has traveled nationally to administer training sessions and to perform cardiac procedures. He also consults for a number of medical technology companies. Dr. Nguyenba is a past member of the Cardiology Credentials Committee for the American College of Veterinary Internal Medicine as well as the Review Board for the Journal of Veterinary Cardiology. Dr. Nguyenba is the author and co-author of numerous scientific papers published in a variety of veterinary publications, including the Journal of Veterinary Cardiology, Journal of Veterinary Internal Medicine, and American Journal of Veterinary Research. He is an active advocate of continued education for veterinary professionals and has lectured on numerous small animal cardiology topics. Dr. Nguyenba lectures nationally on the patent ductus arteriosus occlusion procedure and has also appeared on Animal Planet’s Dogs 101. Dr. Nguyenba has collaborated on several clinical trials, including novel cardiovascular device and drug trials for veterinary patients. He has also participated in other studies evaluating the utility of new diagnostic blood tests for cardiac disease, arrhythmias in cats, and long term outcome in feline hypertrophic cardiomyopathy. Dr. Nguyenba is very compassionate and easy to talk to about your concerns and explains everything completely. The staff is friendly and caring from the start. The medical care is excellent! – Becky W.
I know my cat is getting the best care possible for his heart condition. Dr. Nguyenba is such a gentle doctor and really seems to care about his patients. MedVet has the kindest and most understanding staff I could ever imagine. They are not only wonderful with our animal companions, but with our animals’ people, too. I’m so thankful this facility is fairly close to home. – Sherri M.
We have been extremely impressed with our dog’s care with Dr. Nguyenba at MedVet. There is definitely a team mentality. We are so happy that he was in such good hands. – Rachael L.